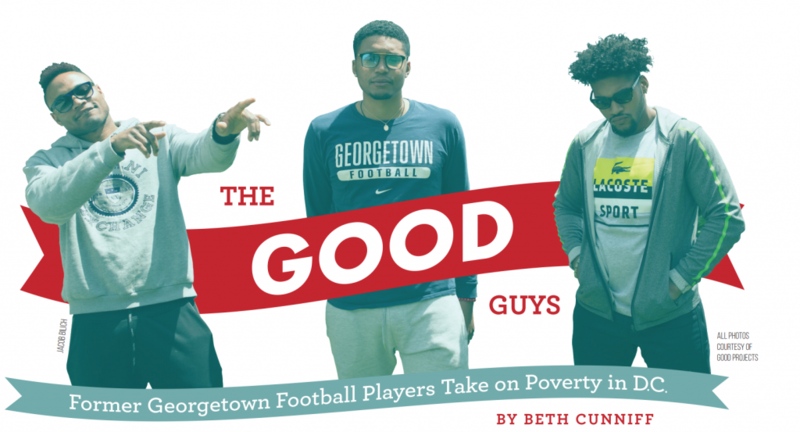 Home » By The Numbers » The GOOD Guys: Former Georgetown Football Players Take On Poverty in D.C. The GOOD Guys: Former Georgetown Football Players Take On Poverty in D.C. In the fall of 2015, the House majority leader, a conservative pollster, and three Georgetown football players walked into a bar. 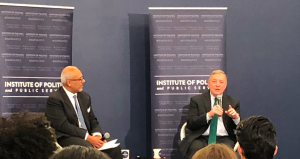 Disgruntled Rep. Kevin McCarthy and his friend Frank Luntz, the pollster best known for coining the term ‘death tax,’ were accompanying McCarthy’s son, a Georgetown student at the time, to The Tombs on a Tuesday night. By chance, they met Georgetown football players Darius Baxter (COL ’16), Troye Bullock (COL ’16), and Danny Wright (COL ’16) who were there to play trivia. McCarthy had just given up his bid to be speaker of the House, so he and Luntz were in no mood to talk to the three young men. In time, Luntz warmed up to them. 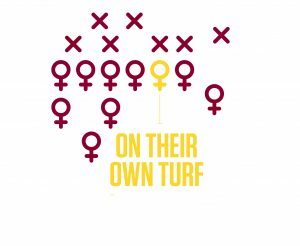 The relationship they formed eventually led the football players to found GOOD Projects and GOOD Partners, a nonprofit and consulting business, respectively, devoted to making a social impact in low-income communities in Washington, D.C. The story of GOOD, which stands for “Giving Out Opportunities Daily,” starts in The Tombs, but Baxter’s, Bullock’s, and Wright’s stories begin much earlier. Though they did not meet until they arrived at Georgetown, where they became great friends, all three were born in D.C. to low-income families in low-income communities. All three also played football at private high schools. Baxter’s father was shot and killed when he was 9. He and his family were left homeless and in constant fear of gun violence, and his mother was forced to provide for him and his brother. Wright was also without a father for much of his childhood. His mother became pregnant with him at 14 and was kicked out of the house, forcing her and Wright’s father to fend for themselves and a child. His father began selling drugs to make ends meet and was incarcerated when Wright was 5 or 6. Bullock played football in Maryland at DeMatha Catholic High School, a sports powerhouse, rather than attend his local public school, which had a 15 percent graduation rate. Baxter and Wright also attended private Catholic schools in the DMV area to play football. Baxter played at Bishop McNamara in Prince George’s County; Wright went to St. John’s College in the District. 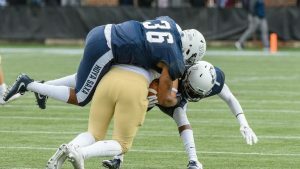 Being on the D.C. Catholic school football circuit put the three in decidedly better schools than their public options and, ultimately, on the radar of Georgetown football head coach Rob Sgarlata. For kids who grew up in Baxter, Bullock, and Wright’s communities, the ultimate goal was to get to college on a full ride. When they were recruited by Georgetown, the trio thought their private high school experience would have prepared them for the culture shock. But life on the Hilltop exposed them to wealth like they had never seen before and gave the young men a level of freedom they had never experienced. In their first two years, Baxter struggled with depression, while Wright repeatedly found himself in trouble with Sgarlata for partying in the city and breaking curfew, a common infraction for freshmen on the football team. Ultimately, the three grew into themselves at Georgetown. Bullock found that the culture shock also served as motivation. “It really gave me a sense that, okay, I can succeed,” he said. “I can be a CEO, I can do that, because before I never was exposed to that, so therefore it was never real for me.” And when they began to use their experiences at Georgetown to their advantage, doors began to open. That night, Luntz wasn’t in a good mood: McCarthy had been forced out of the race to be speaker of the House after a gaffe on national television, and they were not at The Tombs looking to celebrate. The young men had no business approaching the high-profile politicians, but Wright persisted. He convinced the majority leader and his friends to play trivia and then take shots with the football players. Wright, Bullock, and Baxter ended up deep in conversation with Luntz, telling him about where they came from. Luntz, impressed by the three, invited Bullock, Baxter, and Wright, along with another Georgetown student, to meet with legislators on Capitol Hill, where he asked them to pick an issue they would like to speak with members of Congress about. They chose AmeriCorps, which employs tens of thousands of Americans in community service projects. Luntz partnered with Rep. Joe Kennedy to have the young men lobby representatives on the merits of AmeriCorps. Luntz admitted that many of the college students he’s worked with over the years haven’t listened to him. But Baxter, Bullock, and Wright did. They brainstormed on the whiteboard in their house until they came up with the initial idea for GOOD: a youth football camp aimed at stopping gun-violence in the District. They filed for both nonprofit and for-profit companies, and after they graduated in 2016, they went into southeast D.C. with no money and held a summer camp. There was no way of knowing if their model would work, let alone support the new college graduates. But after watching Entourage and Wolf of Wall Street enough times, they decided they would take a leap of faith. The summer before, gun violence had spiked in Anacostia. They assumed that since conditions hadn’t changed in the community in the year since, the gun violence numbers wouldn’t either. Instead of running from a problem they had spent their lives fleeing, the young men set up shop in the heart of Anacostia for five weeks. They went door to door, telling parents about the football camp they planned to run. They weren’t sure how many kids would show up at Anacostia High School. But 200 kids came on the first day of the camp. What started as a football camp quickly grew to encompass entrepreneurship, tutoring, other sports, and environmental programs. They started with just $3,000 worth of in-kind donations that summer but immediately noticed an impact. During the time in which they held that first camp, Bullock said that there were no homicides or gun-related crimes in the neighborhood. 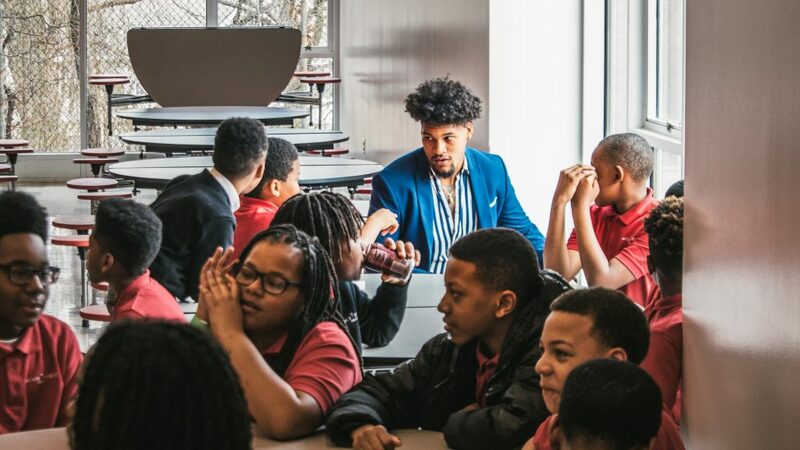 Their success led to a contract with D.C. Mayor Muriel Bowser’s office to pilot a juvenile justice program to rehabilitate youth through mentorship, trips, GED prep, and group therapy sessions. The relationships they have built with the participants have helped get kids off the street, into college, and into secure jobs. The next summer, they hosted a camp in Barry Farm, a neighborhood in Southeast. In 2018, they hosted five camps across southeast D.C. Their model for camps has changed since that first year. Now it targets a younger age group, pays counselors, and funds a host of programming for campers. As they grew, they were able to point to their success and their stories during their fundraising efforts. Hundreds of thousands of dollars in grants and millions in private donations began to roll in. When they started their work, members of the community were skeptical that such young Georgetown graduates were going to “save the hood,” Baxter said. They used their youth to create innovative programming and receive help that may not have been so readily available were they older. As their programs have grown, so have their relationships. Now, they said, they’re seen as a fixture of the community. Along with the trio’s non-profit work at GOOD Projects, through their for-profit side, called GOOD Partners, they have consulted with schools, nonprofits, and government agencies about how to run youth programs and improve the quality of life in a community. Despite a busy schedule, the three make time to come back to Georgetown and serve as mentors for current football players. On Dec. 1, Baxter, Bullock, and Wright came back to their old stomping ground as part of GOOD Projects’ Brown Bag, a District-wide initiative to feed the homeless. Georgetown students spent hours making sandwiches, writing cards, and dancing to music blaring through the dining hall’s speakers. Luntz credits the three with saving lives in southeast D.C. “I think GOOD Projects has a greater likelihood of making a meaningful, measurable change in society than any other organization I’ve ever dealt with,” he said. For Baxter, Bullock, and Wright, their programming work is not yet enough. Over the next few years, they want to work in the Greenleaf apartment complex in southwest D.C. to end generational poverty. They plan to raise money to invest in locally owned businesses, marshall existing resources to help raise families’ incomes, and create individualized plans to lift families out of poverty. They hope to apply their model to address poverty on a large scale in the District and across the country. But as Baxter, Bullock, and Wright talked about their work, they returned again and again to where they might have been had they not ended up at Georgetown and to the kids whose stories mirror their own.